Compliancy is a hot button issue. Managed Service Providers (MSPs) are compelled by clients to prove their competency with Canadian privacy laws – and for good reason. Canadian businesses that regularly acquire sensitive data are expected to remain compliant or else face penalties. Depending on the particular governance in place, compliancy can be achieved when data is housed within National or Provincial borders. The current climate necessitates a cooperative and transparent relationship between MSP and client. Hosting in Canada, among the stringent directives, can be business’s best defense against an adverse data breech. What Does It Mean To Offer A Truly Canadian Solution? Managed service providers drive innovation by managing infrastructure and internal processes. 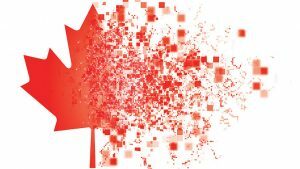 Whether an enterprise is required to store data within the country or province, or simply wishes to support the Canadian economy – a Canadian solution is key. Trusting a provider that is Canadian owned and operated affords businesses a distinct competitive edge. They can confidently assure customers that their data will never leave the country. This is imperative for private sectors such as healthcare and education. For these sectors, providing assuredness of data safety is not just an advantage – it is requisite. Often, American MSPs will own data centres within Canada but this does not mean that the traffic will remain there. American MSPs cannot ensure that the jurisdiction governing their head office will not leverage intrusive U.S. legislation to gain access to data. President Donald Trump signed the intrusive legislation in question, the U.S. CLOUD Act, into law earlier this year. The act attempts to modernize privacy governance for the digital age. However, it mostly allows the American government to request personal data stored on U.S-based MSP servers. The government has the right to rummage through any and all information even if this deed profoundly violates Canadian law. While this troubling edict is causing more tension in an already edgy political atmosphere, choosing a Canadian provider can leave your sensitive information immune to this type of unauthorized legislatorial snooping. Canada is the perfect home for hosting business-critical applications. It is a viable location for both domestic and international companies because of the rigorous privacy regulations it has set for Cloud computing. Whether your business is targeting the Canadian market or the U.S., you can have complete confidence in the security of your data when it is kept on Canadian soil. Private sector organizations showcase the rigidity of Canada’s privacy approach. As discussed, these institutions (such as healthcare and education) are under extreme scrutiny for their privacy practices to ensure that sensitive information remains confidential. Advocates and lawmakers apply the pressure and the penalties for non-compliance are stern. With the use and application of personal data being so highly regulated in Canada, this certifies the continued protection of private information that is stored in accordance with such directives. Server Cloud Canada (SCC) is a leader in the enterprise virtual datacentre environment. We make cloud computing easy by offering turnkey solutions that help companies of all sizes capably transition to a private cloud-based infrastructure. We are proudly 100% owned and operated within Canada and one of the biggest geographically redundant deployments of HP Matrix infrastructure in the country. A compliant cloud-based solution may initially seem complicated, but the right provider can make it incredibly harmonious. Our commitment to developing unparalleled solutions can help your business quickly and easily manage existing information platforms, applications and any internal systems on our proven, secure and reliable Cloud platform. Our unparalleled solutions can help you and the businesses you serve grow.